Explore the medieval center of Bologna with a private guide. 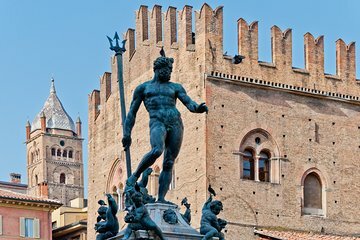 Known as 'Red Bologna', for the soft red colors of many of its buildings and also the city's left-leaning politics, and 'Bologna the Fat,' because it's one of the best food cities in Europe, Emilia Romagna's largest city offers much to see and do. Stroll around the streets with your guide, passing by Bologna University, the oldest university in Europe. Perambulate past dozens of palaces and churches as you walk along underneath the arcaded sidewalks. 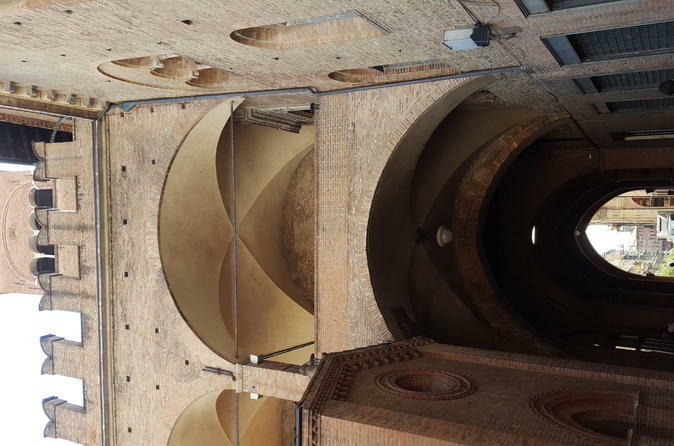 Bologna boasts 25 miles (40 kilometers) of covered arcaded walkways. Spend some time lingering in Piazza Maggiore. Stop by the Fountain of Neptune and learn about its history. Hear all about the two towers, the iconic symbols of the city, and learn why one of them is leaning. View the Medieval Market and Loggia Dei Mercanti, the Anatomy Theater (closed Saturday afternoon and Sunday), Basilica of San Petronio, the Archiginnasio and the Complex of Santo Stefano. If you there's more time, extend the tour to include San Giacomo, the Oratory of Santa Cecilia, San Domenico of the Sanctuary of San Luca. Because this is a private tour, consider letting the guide know before the tour about special interests so the guide can be fully prepared.